Bruno Mathsson’s series of Expansion Leg Tables from the late 1970’s followed on from his earlier Span leg design and have a refined method of connection routed into the underside of the table top. 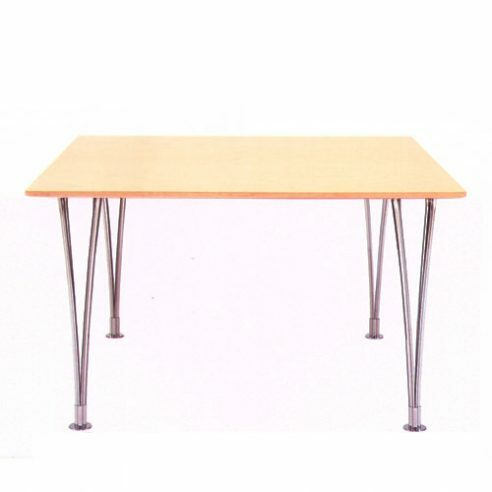 The inset metal plate allows for tables to be expanded or connected quickly to form larger configurations when specified. solid sawn rectangular sections of Alder wood, edge glued with transverse cross band veneer and finished with longitudinal top veneer balance on both sides.